Luke 6:20, 22-23, 26 - And (Jesus) lifted up His eyes on His disciples, and said ... "Blessed are you when people hate you and when they exclude you and revile you and spurn your name as evil, on account of the Son of Man! Rejoice in that day, and leap for joy, for behold, your reward is great in heaven; for so their fathers did to the prophets. ... Woe to you, when all people speak well of you, for so their fathers did to the false prophets." Nobody likes to have enemies. It hurts when people hate us or mock us or exclude us from their company. And who hasn't been the victim of evil rumors? For some of us, this kind of thing started in early childhood at school. For some, it continues to this day. But Jesus says something startling. He says, "Blessed are you when people hate you and when they exclude you and revile you and spurn your name as evil, on account of the Son of Man!" Apparently, there is one time when we ought to be glad to have enemies who mistreat us—when they are doing it on account of Jesus. But that doesn't happen very often, does it? Think again. Jesus also says, "Woe to you, when all people speak well of you, for so their fathers did to the false prophets." Apparently, it's a bad sign to have no enemies at all. It suggests that we aren't standing up for what's right—that we are too similar to the world in which we live—that we fit in better with the ungodly than we do with Jesus. And that's not good! I used to worry a bit as a teen because I had no enemies. I wondered, what did that say about me? I didn't need to worry because with adulthood came enemies, all right. One woman hated me because I was forced to call the authorities when we caught her abusing her children. To this day I'm sure she'd like to see me dead. Another group of people hated my husband the pastor because he allowed a woman with a terrible reputation to attend church. They feared the church would get a bad name if it welcomed sinners. Christians naturally attract enemies because we just don't fit well into our world. If you follow Christ, sooner or later you are likely to face a decision: do I do the right thing and get somebody angry at me, or do I fold and keep everybody happy with me? Though we are tempted to fold, the Holy Spirit pushes us to do what's right. And our enemy collection begins. Don't get me wrong. 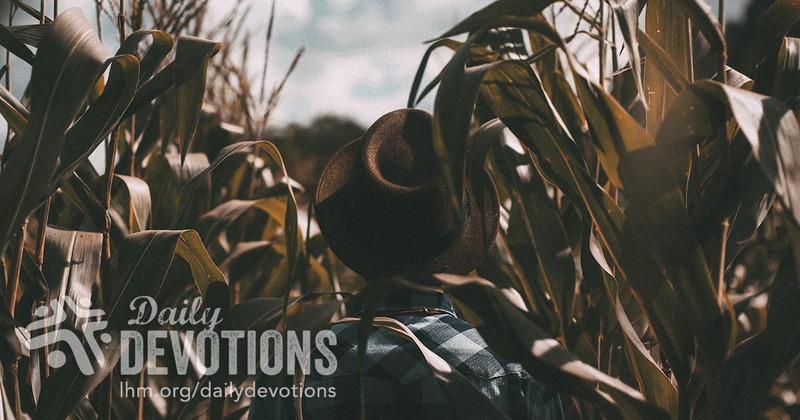 Sometimes we pick up enemies, not because we are doing good, but because we deserve it—in our sinfulness we have hurt someone or misbehaved or brought shame on the Name of Christ. If our enemies come from doing evil, that is not something to be happy about. That means it's time to repent. But if we do what's right for the sake of our Savior Jesus and pick up an enemy or two? Jesus' promise applies to us. "Rejoice in that day, and leap for joy, for behold, your reward is great in heaven." THE PRAYER: Lord Jesus, help me to attract enemies only for the right reason—for love of You and Your people. Amen.